Stella Tacos, a new storefront on eclectic Alberta Street in northeast Portland, is a great example of Portland’s vibrant food scene. Fresh ingredients, artful execution, and accessible prices make this Mexican an authentic Portland – if not Mexican – experience. Portland has an amazing food scene. But try to define Portland’s truly “local” or native specialties, and you might have difficulty. Is it salmon? Hazelnut and berries, such as the local Marionberry? Is it influenced by Native American culture? Or more by Asian or Pacific Rim dishes? Mexican? Like many large cities, Portland’s food scene has many outside influences. International eateries are as prevalent as “American” ones. It is the dream of the food truck realized. Food trucks permanently parked alongside the brick-and-mortar dining areas they have become. On the eastern end of the Alberta district is Stella’s Tacos, nestled alongside pizza, Thai, Middle Eastern, vegetarian, coffee, and wine joints. Its concept is clean, fresh, and inviting. 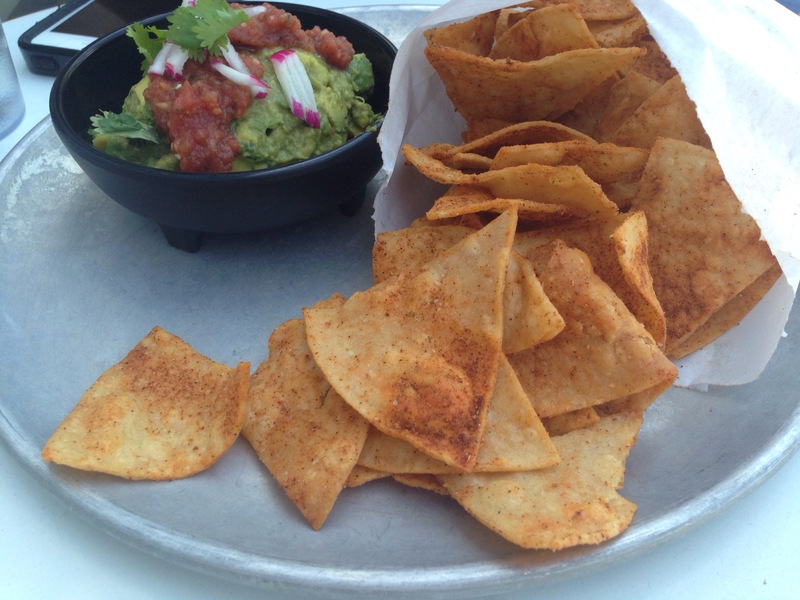 The atmosphere is relaxed and laid back, much more West Coast or CaliMex than TexMex. Each taco starts with the standard double 4″ soft flour or hard corn tortillas, which provide a sturdy base for non-greasy fillings bursting with flavor. Each taco is a perfect creation in its own right, full of complex pairings of both usual and unusual ingredients, like fried avocado, pickled jalapeños and carrots, crispy onions, and more. Vegetarians and vegans will find plenty of non-boring options compared to your typical Tex or CaliMex joint. For my first of two tacos (see the featured photo for this post), I chose a mole con pollo taco. Its rich gravy was a nice mix of savory and spicy, topped with pepitos (pumpkin seeds). My second was a vegetarian black bean taco with shredded carrots, pickled jalapeños, and crumbled cotija cheese. The mole could have used a touch of sweetness to enhance its complex mix of ingredients, while the bean taco was a perfect balance of salt and tang. 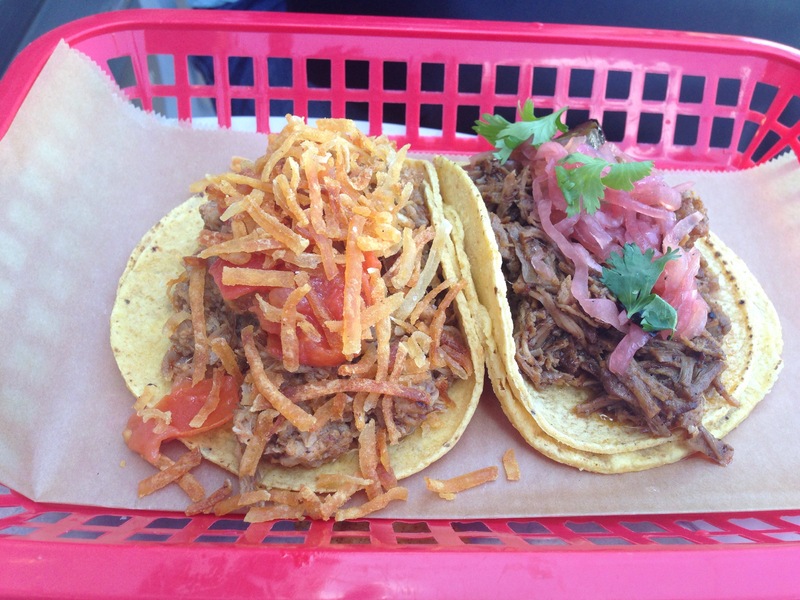 My friend ordered a braised pork shoulder taco, accented with crispy onions, and a beef brisket with pickled red onions (both pictured above). I tried the beef and would have ordered it had I returned. Not just a taqueria, Stella Tacos also offers distinctive margaritas and tequila cocktails, quesadillas and a few tasty sides. For under $5, their healthy portion of guacamole with homemade corn tortilla chips dusted with salt and chili powder was a steal. I could have filled up on it as a meal in and of itself. 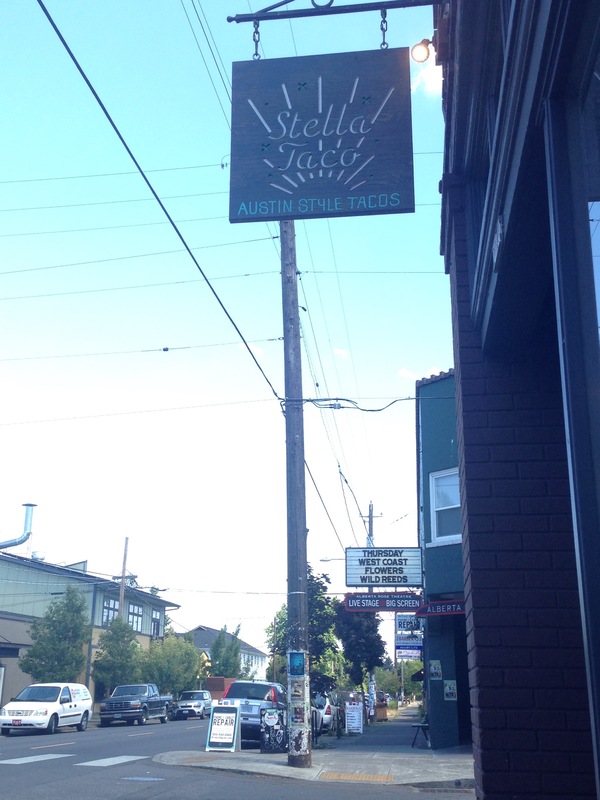 For fresh street tacos, Stella Tacos should make a name for itself as a newcomer to Portland’s food scene. Stay tuned for a Portland vs. San Francisco street taco duel in a coming post!